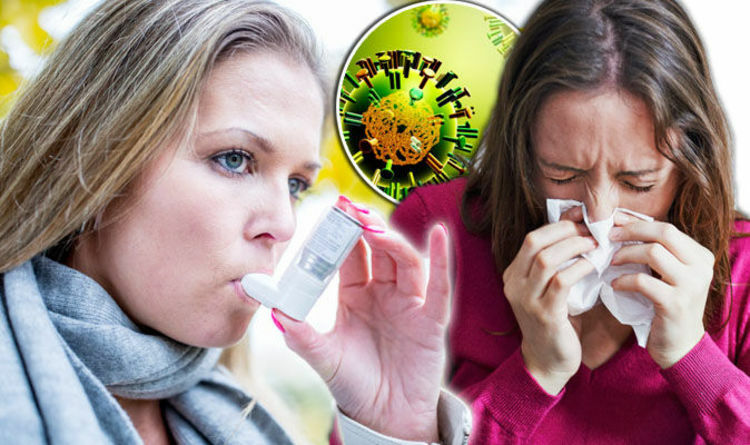 More than four million asthma patients are at-risk of deadly asthma attacks from flu infection, Asthma UK warned. Cold and flu viruses can make asthma symptoms worse, the charity said. More than four out of every five asthmatics said their symptoms were worse during the winter. The particularly high number of flu cases this year, combined with the deadly Aussie flu virus, is extremely concerning, said Asthma UK. “The flu outbreak this year is extremely concerning and needs to be taken seriously,” said Asthma UK’s Clinical Lead and practising GP, Dr Andy Whittamore. “As many as four in five people with asthma could be at an increased risk of life-threatening asthma attacks if they catch the virus. “The best way for people with asthma to stay safe this winter is to make sure they take their asthma medicines as prescribed. Asthma patients should make sure they wash their hands regularly to prevent infection, Whittamore said. It will always prevent spreading any viruses to other people. Eating a varied, balanced diet, getting enough sleep and regularly exercising are also crucial to preventing infection. You should also consider getting the flu jab, Asthma UK said. Your doctor or nurse may suggest you have the flu vaccine if you take a preventer inhaler, or if you’ve had to go to hospital because of an asthma attack. An asthma attack can be incredibly frightening, said the charity. Someone has an attack every 10 seconds in the UK. During an asthma attack, the airways constrict and tighten. This causes coughing and wheezing, and leaves patients gasping for breath. Some asthma patients have described an attack as feeling like someone is holding a pillow over their face. If you think you have flu, and you have any concerns, you should call your GP practice for advice, said Asthma UK.